Quartz worktops are stunning, durable and add value to your home increasing your equity and making a sale easier. However, all of this doesn’t come for free: the cost of quartz countertops can be significant, particularly if you don’t have much experience buying and managing this sort of installation. This guide will help you evaluate the real cost of quartz worktops, and make sure you are getting a great deal both in terms of purchasing them and getting the right countertop installation service. The first think to look at when estimating the cost of installing quartz countertops is ensuring you are comparing apples to apples. Some quotes will include installation services, while others will only include the quartz slabs and you will need to pay extra to have them measured and installed. In order to look more competitively priced, a lot of companies will give you estimates that are well below the final cost of the project once you factor in transport and installation costs. While there isn’t much that you can do about it, it is important that you examine each quote carefully and ensure everything is itemised. When you ask for a quote, besides the price of the slab of quartz itself you will need to know the installation costs, and whether those costs include extras such as taking measurements, sink cutouts, fixture cutouts, etc… Most providers will include those as default but others not so it’s better to be safe than sorry. If a quartz provider refuses to give you all this information, just walk away. It will save you a lot of trouble later. It is also important to ask whether the installation needs to be done by their team, or whether you can purchase the quartz and installation services separately. This would allow you to hire a contractor yourself if you prefer, which can be more competitive. If this is possible, make sure the transportation costs are included in the quote. The cost of quartz worktops varies depending on location and competition in the area. If you live in an area where there are several suppliers you will find the prices are generally much cheaper. 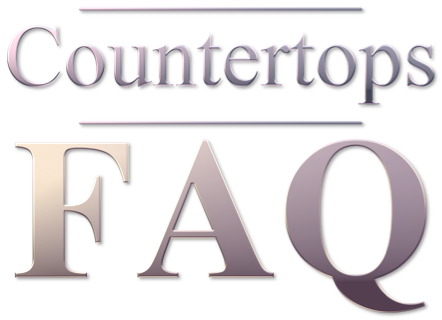 However, the following can act as a guideline to avoid being ripped off (or buying a really cheap quartz countertop that never arrives from a scammer). The price of quartz countertops will vary depending on the quality. High end brands will be more expensive than smaller manufacturers. Keep in mind that if you need to add a backsplash, need extra cutouts, or your kitchen has a complex layout you may have to pay extra. Also, thicker slabs or unusual and detailed edges command a premium price. On the bright side, you can get a better deal if you look into the clearance section, and shop around for the best prices instead of just falling in love with a particular slab of quartz on a catalogue. To be honest, this simple trick applies to almost any home improvement project you need to buy materials for, but it is worth mentioning it as you can get significantly cheaper quartz countertops if you just buy in the off-season. Yes, home improvement is a highly seasonal industry, and going shopping in periods when nobody wants to start a home improvement project can represent significant savings. When the store is empty, you will have access to offers, sales and perks only desperate salesmen would employ to get their numbers for the month. Go shopping for countertops during Christmas, national holidays or even in January when everybody’s pockets are reeling from the shopping season, and you will be able to access the best countertop deals. Not to mention you will be able to enjoy the undivided attention of the sales people in the store, which can actually offer loads of good advice based on experience. Gently dissolves dirt and grime using a pH neutral formula - the perfect granite cleaner. Now that you got the best deal buying your quartz countertops it’s time to look for somebody who can install them for you. First of all, this is not a DIY project. It requires specialist knowledge, the slabs are incredibly heavy and if they break while being installed you will have wasted your money. So unless you are a contractor yourself and know what you are doing, the best thing to do is hire an installation service for quartz countertops. Some manufacturers will offer a guarantee that will be void if the countertops aren’t installed by a qualified technician. Just to put things into perspective, if the pressure on the slab is uneven because it hasn’t been aligned properly there could be cracks appearing over time, and if you installed them yourself (or got a friend to do it) the guarantee would not cover this. Small savings and a big risk. (a) 1 Piece of V10 (10mm / 3/8" Full Bullnose for 10mm / 3/8" thickness stone concrete) Router Bit/Profile (5/8"-11 Thread arbor). (b) 9 Pieces of 6" / 150mm Diamond Polishing Pad for granite marble concrete: 1 X Grit 30 50 100 200 400 800 1500 3000 6000. The best way to get ripped off when buying quartz countertops is only getting one estimate and accepting it because you have read about prices on the internet, and it looks about right. There is no “average” price for the cost of labor involved in installing quartz worktops, and as such in order to get the best deal you should at least get quotes from 3 contractors, preferably more if the prices vary wildly. This way you can compare quotes fairly. You may be able to save yourself some money by being flexible and adapting your project timeline to when your chosen contractor has no other clients. Rush jobs or jobs during peak periods always carry a premium, as contractors are more in-demand. Lots of businesses offer free estimates for quartz and granite countertops, many of them even coming into your home to take accurate measurements and estimate installation costs, all of this free of charge. Of course, this sort of quote are nothing more than a sales technique, and will come with a heavy, intensive, sales pitch. Often you will get the impression that unless you sign on the dotted line right there and then you will be missing on the best deal ever. The only safe answer to this is: never accept a quote on the spot. The salesperson wants to make a sale, so just ask politely for a written estimate, and tell him that you will contact them with questions or when ready to start the project. Then get another 2 or 3 quotes (discard any that sounds too good to be true or is just too expensive compared to the others) and sit down to examine them in order to figure the most cost-effective one. Buying quartz countertops is an investment, and making an investment under pressure is never a good idea. Many reputable quartz countertop brands such as Silestone or Cambria are available from many retailers, and the prices vary. Also, never buy countertops without having a sample that you can place in your kitchen to see how it looks like in that particular room. The cost of quartz countertops is usually pretty high, but can be made more budget friendly by shopping around and looking for deals, not to mention practicing your negotiation skills at both the store and when talking to contractors. On the other hand, this is one of the few home improvements you can do to significantly increase the value of your home, and make it more likely to sell, as quartz countertops will last for decades with minimal care.